As you may know, I’ve been doing a sugar detox (day 12 out of 21, but I’m sure I’ll adopt this lifestyle permanently) and have been craving sweets regularly. Hopefully, these symptoms will subside when I starve the candida (bad yeast) that feeds off of processed sugar by not consuming it. For more, look at my post on the at-home candida overgrowth test. I am not giving up all sugars/sweeteners, only processed/refined/white sugar. I am using natural sweeteners like fruit, raw organic honey, pure maple syrup, coconut sugar, and organic liquid stevia. Having said that, I know that since I am not giving up all sweeteners, it will probably take a little longer for the candida to starve, but it’s ok. I prefer that over an extreme right now. Note: I waited until my daughter self-weaned to begin this detox. It is not safe to detox while pregnant or breastfeeding. Anyway, I had yet another craving for sweets last night. So, I thought: “How can I make something yummy, healthy, and that will satisfy my craving?” Aha! This hit the spot. 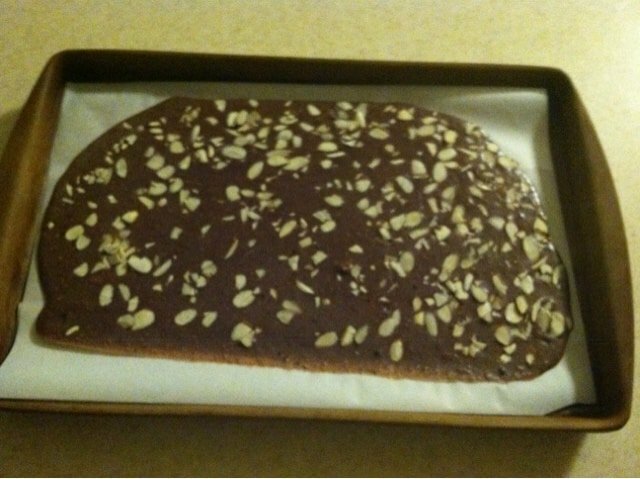 – Put parchment paper on top of cookie sheet to cover surface. – Melt the coconut oil in a bowl. – Mix in cacao and coconut. – At this point, add sweetener of choice (just a little at a time, try it to make sure it’s not too sweet). I skipped this point, but recognize that it could’ve used a little something sweet. The raw cacao isn’t sweet. – Pour the mix over parchment paper Swish it around slowly until it’s a thin layer. 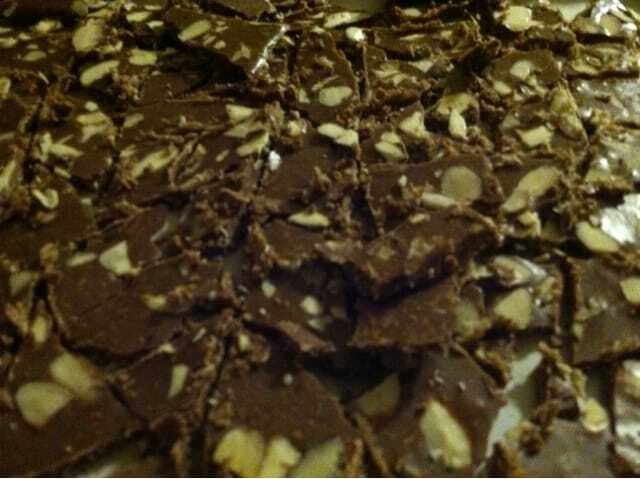 – Sprinkle sliced almonds all over top. – Put cookie sheet in freezer for 30 minutes. – Get it out and it should be solid by now. 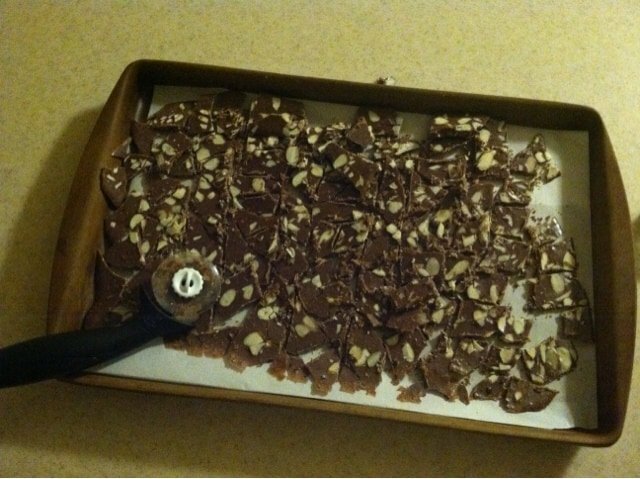 – Crack the chocolate into smaller, bite-size pieces. – Keep in an air-tight container in the freezer. You can schedule with Scheduler or get the plugin called Jetpack, I think.